The museum will be completing the exhibition programme organised to mark its 25th Anniversary by inviting visitors to reflect on the educational role of museums in society today through an innovative project curated by the Education Department. 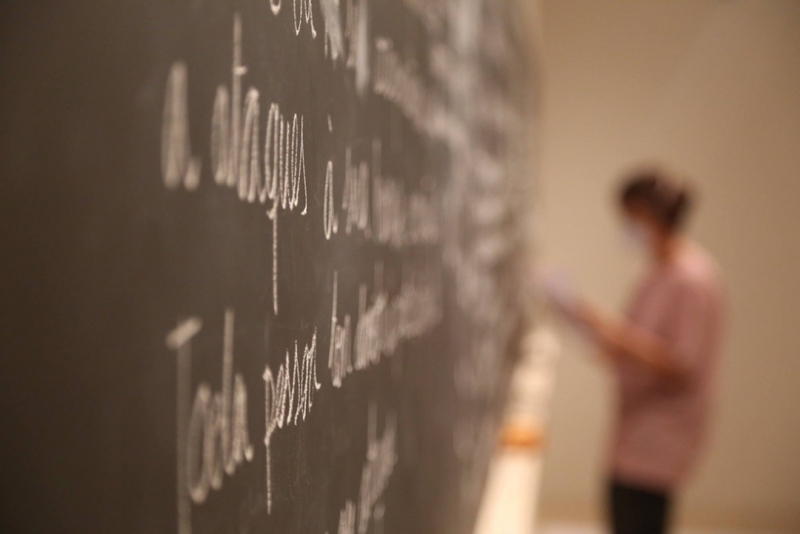 Lección de Arte will consist of various activities that will take place during the time the exhibition is open to the public and will occupy different spaces in the museum. The project has been conceived as an organic entity which will take shape over time and will make the museum particularly dynamic while it is taking place. An exhibition featuring the work of contemporary artists such as Antoni Muntadas, Cinthia Marcelle, Dennis Adams, Eva Kot’átková, Dora Garcia, Pavel Kogan, Erwin Wurm and Rineke Djikstra will look at the issues of where knowledge lies and the museum as a personal experience, aiming to transform the spectator’s experience and place within the museum. For the first time, the museum will also become a space for creation through two artist’s residence grants that will allow the recipients to work alongside the Education Department team during both the preparatory stage and the exhibition itself. This initiative aims to establish links between cutting-edge artistic creation and the museum and between its works and the activities of its educators. The wide-ranging educational programme that accompanies the exhibition will allow the visiting public to become an active agent, forming part of this process of experimentation and investigation.